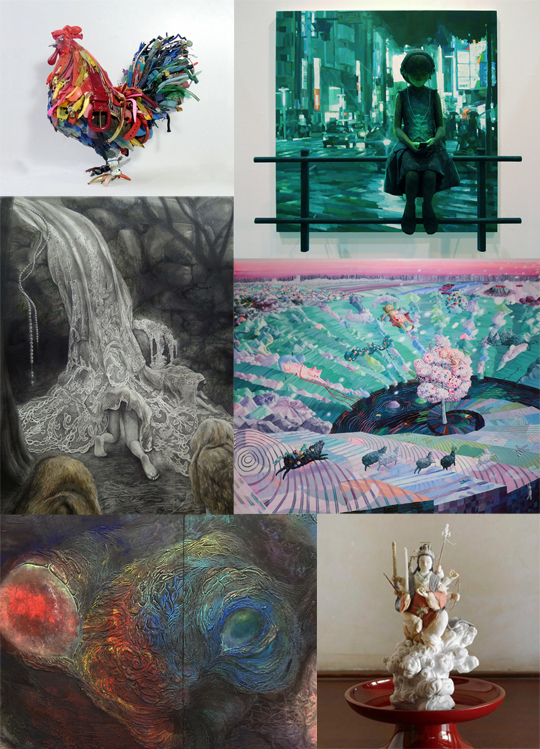 Mizuma Art Gallery is delighted to announce an exhibition of six artists selected by gallery director MIZUMA Sueo, “Eyes & Curiosity―anomaly”, opening on Friday 26th August. For the first new iteration in six years of “Eyes & Curiosity”, we present EGUCHI Ayane, NODA Hitomi, FUJITA Momoko, OHATA Shintaro, Yodogawa Technique and IRIE Saya. 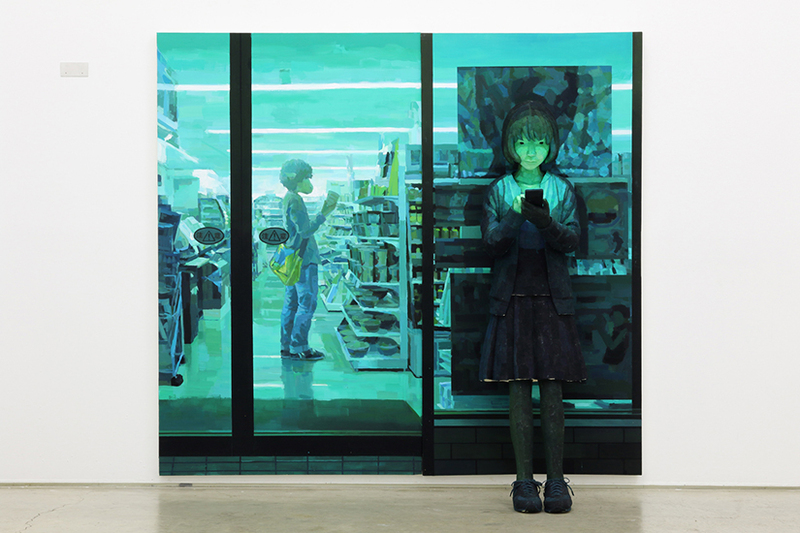 Artist Eguchi Ayane works by amassing paint in numerous layers coating the picture plane, which she then alters by both removing and, inversely, re-applying areas of paint, allowing her to fluently manipulate contrasts of texture and hue. Within her work appears an expression of the polarities that exist within our world: of both the alluring and the unpleasant; and further, of both life and death. 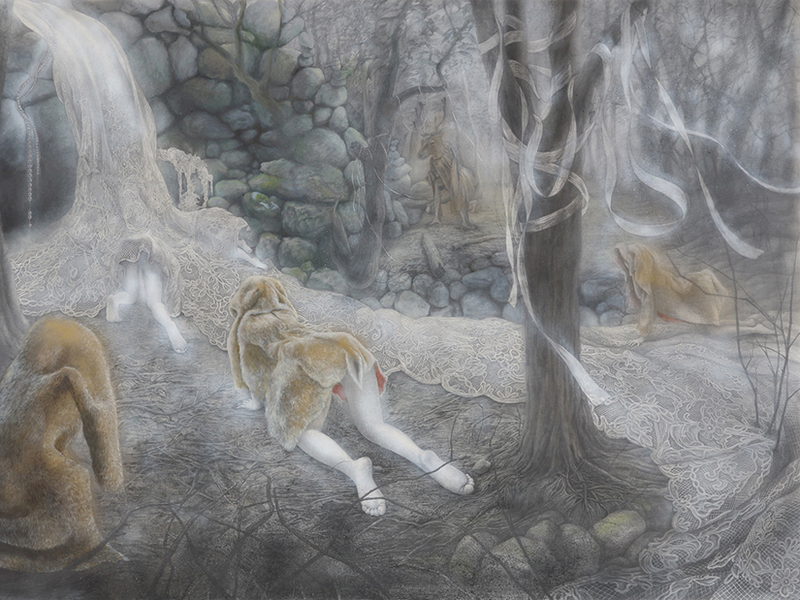 The unique worldview of the works of Noda Hitomi bears premonitions of a sense of surreal disquiet, at first resembling that of a world of fairytales. 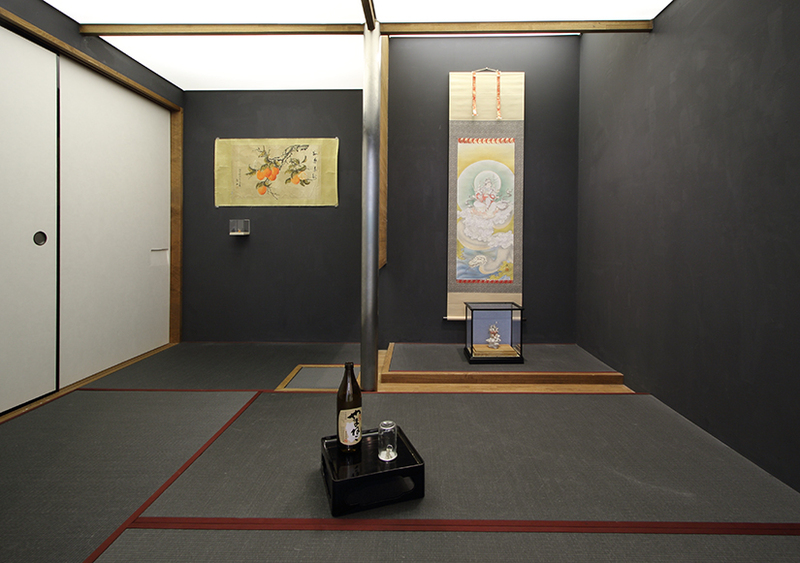 Noda has said that ‘The boundary line dividing me and the world is constantly wavering,’, and her works, too, seem to lead the way to a mysteriously liminal universe. 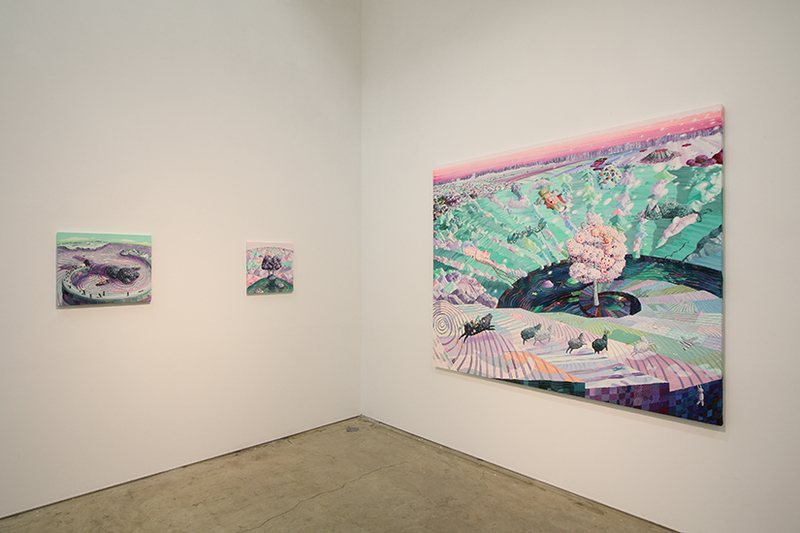 Artist Fujita Momoko’s major paintings include Tonerico Yggdrasil (2006), a work brimming with life force depicting the large, seemingly writhing form of a tree. 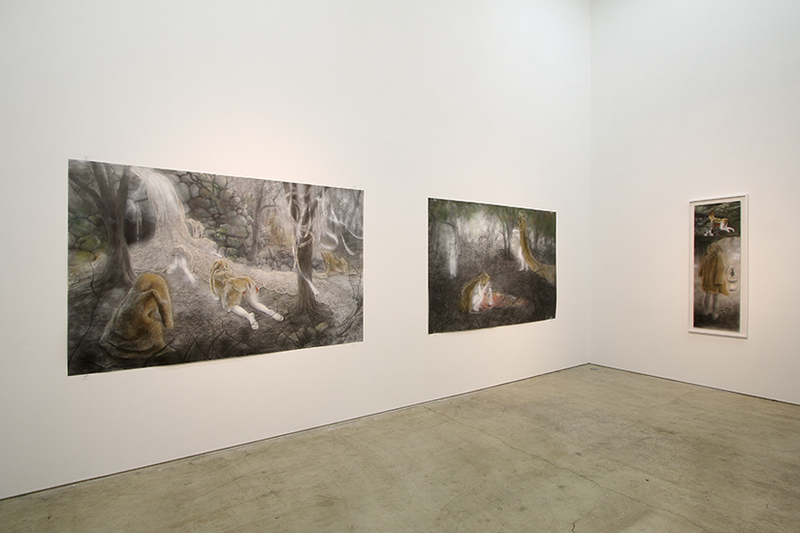 For this exhibition, following the birth of her child, Fujita presents new work created upon even deeper consideration of the notion of life’s origins. 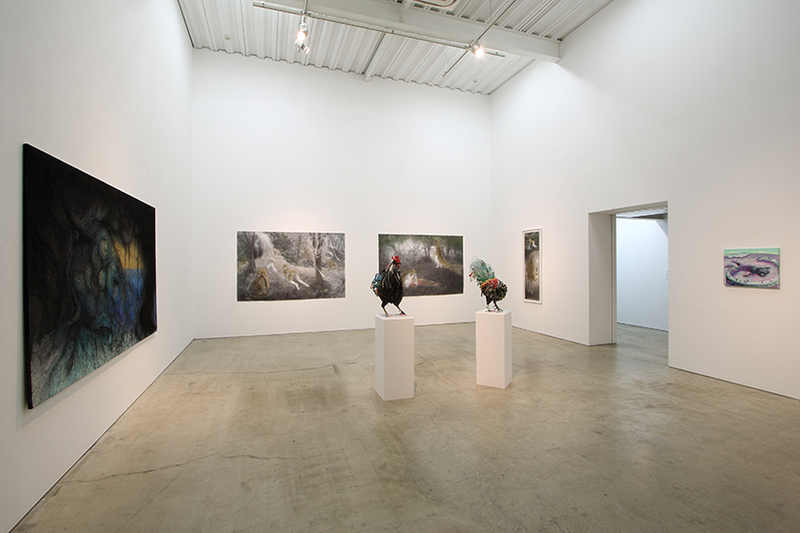 The unified worlds of painting and three-dimensional form comprise the practice of artist Ohata Shintaro. Resembling a single shot from a film, these casual scenes inspire in us a certain nostalgia for elsewhere places. 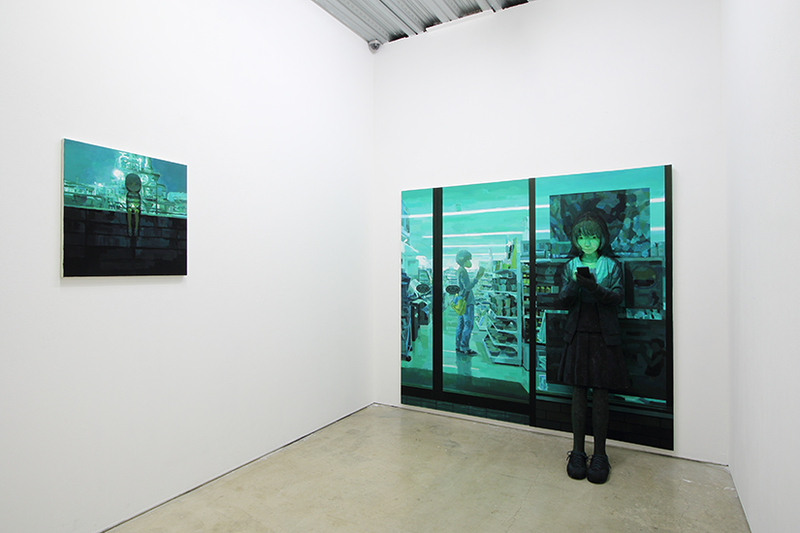 The marvelous variety of light with which every day overflows is what defines the scenery of Ohata’s works. The artists’ unit Yodogawa Technique, made up of Shibata Hideaki and Matsunaga Kazuya, was formed in 2003 in Osaka on the dry riverbed of the Yodogawa river. 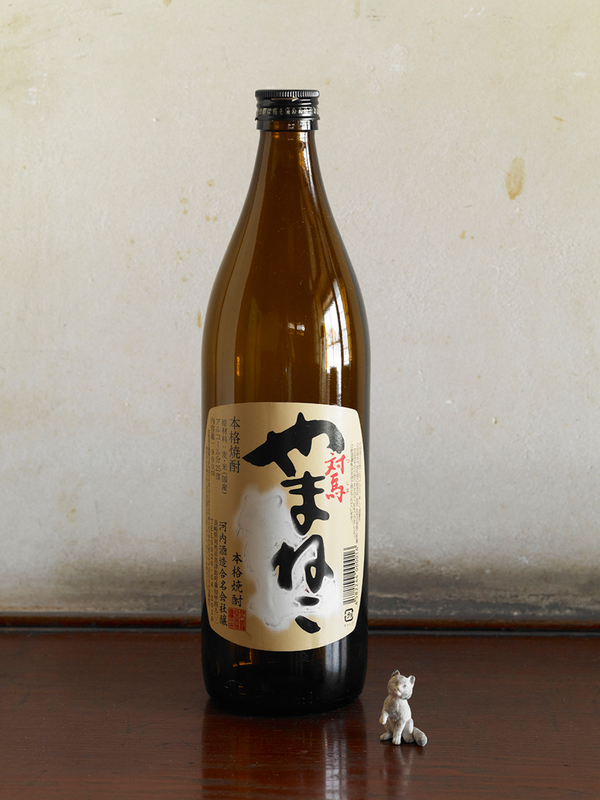 One of their major representative pieces Chinu, Uno (2010) is now a beloved symbol of Uno Port in Okayama Prefecture. 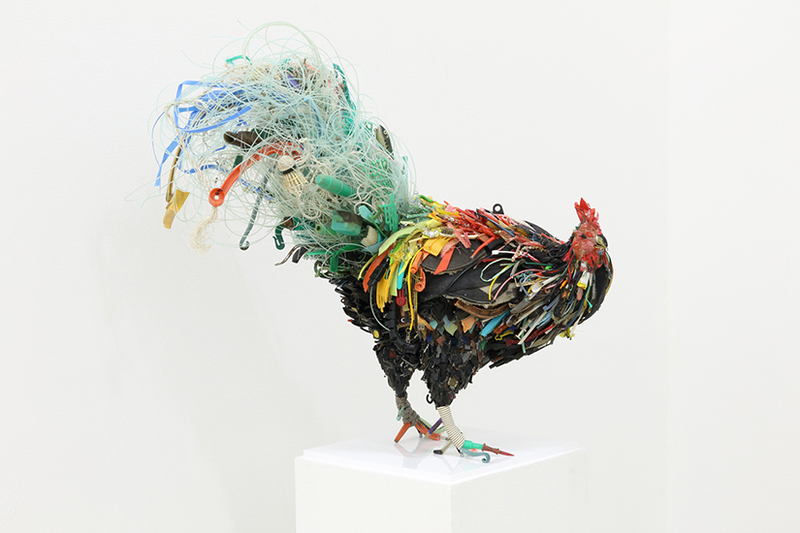 Creating works out of pieces of garbage and flotsam, their practice expands the possibilities of what constitutes the materials of art. 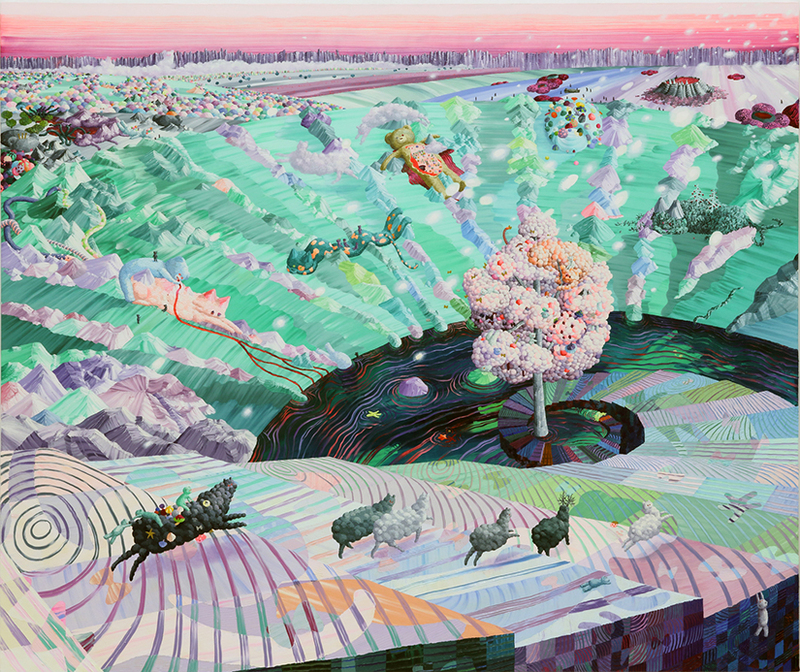 Irie Saya utilizes various planar media out of which she extracts the essence of three-dimensional form, and then transforms this into artwork. In 2012 she won the 6th shiseido art egg award, and has continued to draw wide acclaim for her works’ singular aesthetic. Her works evoke the Buddhist belief in a circle of transmigration, in that they are based upon the concept of all things existing in circulation, their shapes being continually transformed. The ‘anomaly’ of the show’s title points to a sense of the exceptional, and of deviation from the orthodox. 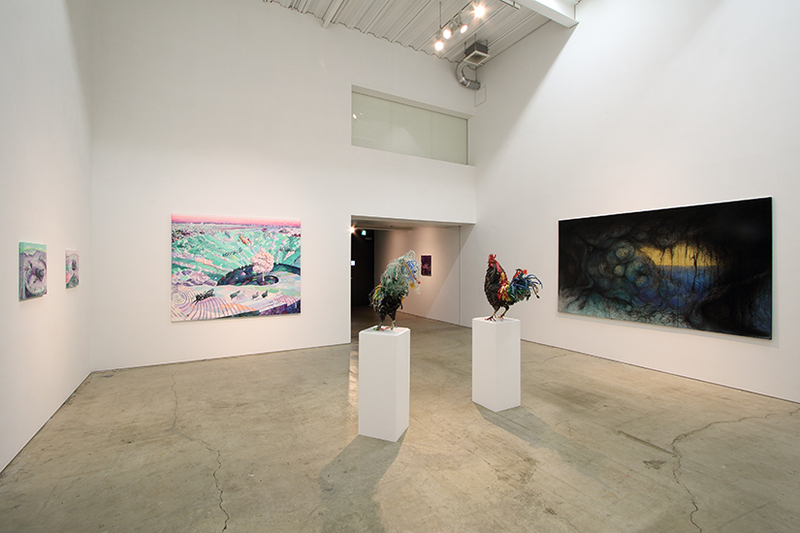 These at first glance seemingly disparate group is in fact a gather of six artists each producing work that refuses to be constrained by convention, through its aesthetics, materials, methods, or its means of display. 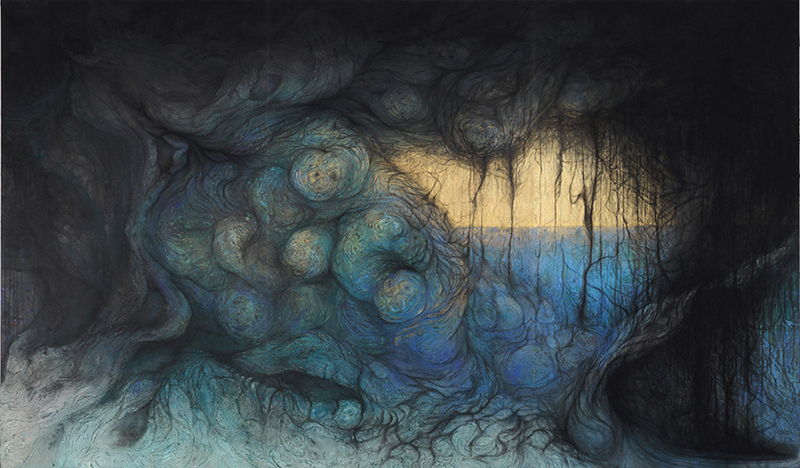 We invite you to enjoy these works, each redolent with the individuality of its creator.